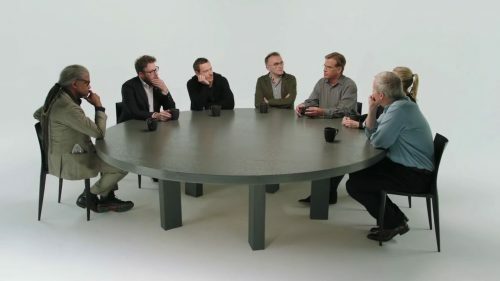 The cast and crew of the upcoming Steve Jobs get around a table. They discuss the man and his legacy. Not only that, we do learn other things about the film. Want to know? Then just click play dummy! They not only discuss the film but Steve Jobs the man as well as his impact on the world. The questions that I always have with Steve Jobs is the same as what Woz asks him. What do you do? He doesn’t invent. Is he just there to lead and get someone else to make his ideas come to life?